Dr. Susana Moncada can help you achieve a dramatically brighter and more beautiful smile by combining several cosmetic procedures, such as teeth whitening and porcelain veneers, into a comprehensive smile makeover at our office in Orlando, FL. A smile makeover can address any cosmetic concern and provide beautiful, personalized results. Patients considering a smile makeover should be in good oral and overall health. Patients with underlying oral health conditions such as gum disease, bruxism, extensive decay, or severe misalignment may require preparatory treatment prior to planning a smile makeover. Good candidates should also be non-smokers or should quit smoking prior to scheduling your procedure. During a consultation with Dr. Moncada, she will determine your candidacy for various smile makeover treatments and discuss your overall goals. She will help you develop a treatment plan and create a mock-up representation of what you can expect your smile to look like. As part of your comprehensive smile makeover, she may recommend any combination of cosmetic and restorative procedures. Dr. Susana Moncada can help you achieve a dramatically brighter and more beautiful smile by combining several cosmetic procedures into a comprehensive treatment plan. 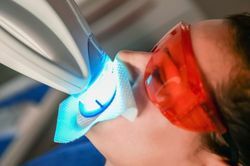 Teeth whitening treatments are often the first procedures recommended in a smile makeover so that any additional procedures, such as porcelain veneers, can be color-matched to your new shade. Although both in-office and at-home whitening treatments are available, in-office treatment offers beautiful results immediately. Porcelain veneers are thin shells that are custom-made to fit over the front surface of your teeth and match the natural shade of your smile. We also offer LUMINEERS®, which only require minimal enamel to be removed before being placed. 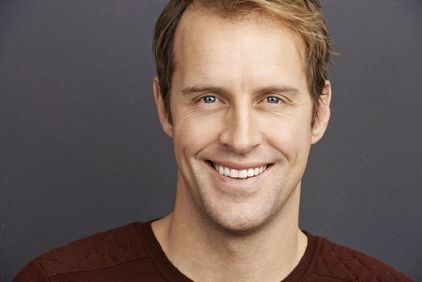 Veneers may be used to reshape the teeth, close gaps, conceal visible damage, and cover intrinsic stains that do not respond to teeth whitening treatment. Dental bonding is an affordable alternative to porcelain veneers and can be used to conceal many of the same cosmetic imperfections. Dr. Moncada will apply composite resin material to your teeth, reshaping your smile and enhancing your appearance. Patients with alignment issues may require orthodontic treatment prior to other procedures. Due to the cosmetic nature of the smile makeover, Dr. Moncada often recommends Invisalign® or ClearCorrect orthodontic methods because they are discreet, comfortable, and convenient. However, severe cases of misalignment may require traditional orthodontics. Replacing old silver amalgam fillings with tooth-colored options is a quick and effective method of enhancing your smile. Cosmetically, fillings made from composite resin do not cause any dark spots within your smile. Functionally, tooth-colored fillings do not expand and contract the way that metal does, and they can actually improve the structure of your teeth. A smile makeover is a customized plan based on your unique needs and goals. If you are unhappy with the appearance of your smile and would like to learn more about how a smile makeover can enhance your self-esteem, please contact our office to schedule a consultation with Dr. Moncada.